Grimwood, Jon Courtenay. Pashazade: The First Arabesk . Simon & Schuster UK/Earthlight 2001. What if: The Third Balkan War, which erupted in Europe in August 1914, was settled a year later with the assistance of Woodrow Wilson, and in 1916, Egypt gained its independence from Britain. Series note: Seris including Pashazade , Effendi , and Felaheen . Comments: Despite a background including the existence of the Ottoman Empire into the 21st Century, a France ruled by royalty, and Germany exerting strong infuence over an Egypt ruled by the Khedive, the books in this series do not seem particularly allohistorical and could be thought of as somewhat bent near-future techno-mysteries/thrillers. 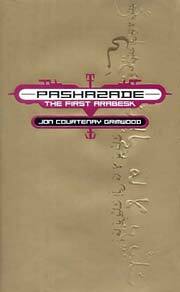 Published: Omnibus volume titled Arabesk including all three novels, Gollancz 2007 (0575081317, 0575081325). Grimwood, Jon Courtenay. Pashazade: The First Arabesk . Bantam Spectra 2005. Grimwood, Jon Courtenay. Pashazade: The First Arabesk . Gollancz 2008. Summary: A mystery set in El Iskandriya (Alexandria) during the early 21st Century, when a young man of mysterious background must investigate the strange murder of his alleged aunt. Series note: First volume of Arabesk. Published: Simon & Schuster UK/Earthlight 2001 (0743202848w88 android), 2002 (0671773682); Pocket UK 2003 (0743468333); Bantam/Spectra 2005 (0553587439BUY); Gollancz 2008 (0575083700). — Included in Arabesk , Gollancz 2007 (0575081325, 0575079711). Translation: Spanish as Pashazade , Minotauro 2005 (8445075462). Awards: Nominee: 2001 BSFA Award for best novel. Grimwood, Jon Courtenay. 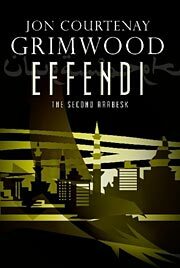 Effendi: The Second Arabesk . Pocket UK 2003. Summary: Now officially a police detective, the mysterious young man investigates a series of gruesome slayings in Alexandria at the same time that his lover's father is brought to trial for war crimes. Series note: Second volume of Arabesk. Published: Simon & Schuster UK/Earthlight 2002 (0743202856BUY); Pocket UK 2003 (0671773690BUY); Bantam/Spectra 2005 (0553587447BUY); Gollancz 2008 (0575083697). Awards: Nominee: 2002 BSFA Award for best novel. 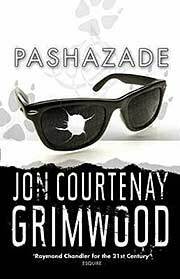 Grimwood, Jon Courtenay. 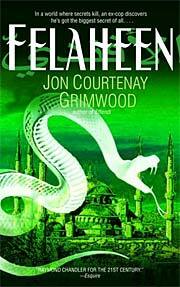 Felaheen: The Third Arabesk , Simon & Schuster UK/Earthlight 2003. Grimwood, Jon Courtenay. Felaheen: The Third Arabesk , Pocket 2004. 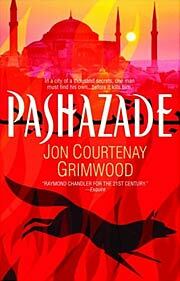 Grimwood, Jon Courtenay. Felaheen: The Third Arabesk , Bantam/Spectra 2005. 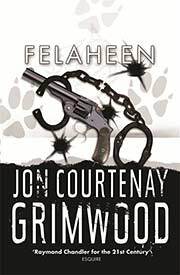 Grimwood, Jon Courtenay. 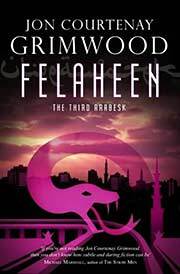 Felaheen: The Third Arabesk , Gollancz 2008. Summary: Ashraf Bey travels to Tunis to investigate the attempted murder of his supposed father, the emir. Series note: Third volume of Arabesk. Published: Simon & Schuster UK/Earthlight 2003 (0743461177w88 androidBUY); Gardners 2004 (0671773704); Bantam/Spectra 2005 (0553383787BUY); Gollancz 2008 (0575083689). Awards: Winner: 2003 BSFA Award for best novel. Nominee: 2004 British Fantasy Award for best novel.